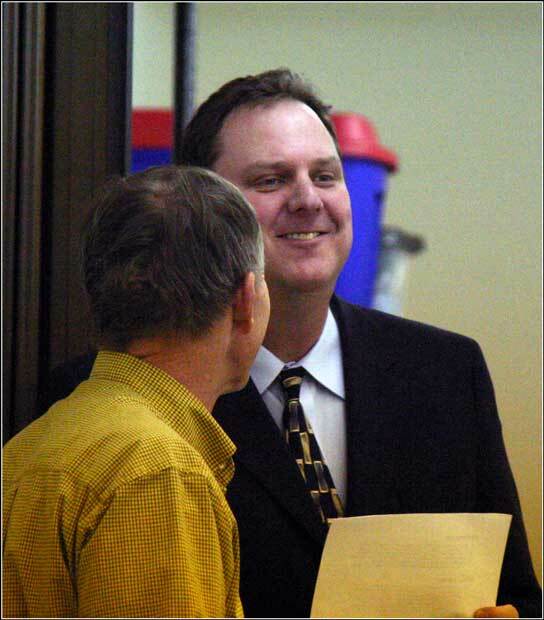 Attorney Michael Trump of Belle Fourche delighted a crowd of more than 100 persons last night (5/4/10) in Spearfish with his perspective on how legalized prostitution remained entrenched in Deadwood for so long. Many of the folks in the audience for the May meeting of the Spearfish Area Historical Society could well remember when brothels in the "bad lands" district of Deadwood were finally closed down in 1980, following a century of notoriety. They were curious to hear what young Trump had to say. In fact, when Deadwood was chosen as the only city in the United States to be designated as a National Historic Landmark in 1964, prostitution was still legal -- and would remain so for another 16 years. Trump opined that Deadwood was one of the last gold rush mining towns established in the Black Hills, and that by 1876 many other communities were already getting organized, families were moving in and law and order was being implemented. So the purveyors of prostitution and gambling found new opportunities in the emerging settlement along Deadwood Gulch. "You had people coming in to Deadwood that literally had made a career out of running a vice of some sort, and by the time they got to Deadwood, they were very experienced," said Trump. 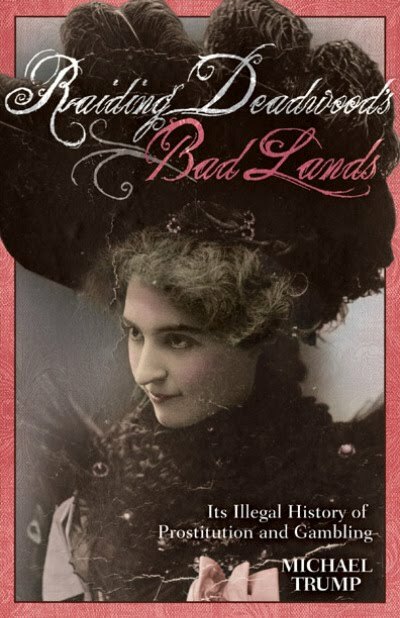 Trump passed around a copy of his new 157-page book, Raiding Deadwood's Bad Lands: Its Illegal History of Prostitution and Gambling, which chronicles the long history of the red light district before and after prohibition. It's an Adams Museum & House publication. Author Trump's father was a president at Black Hills State University, where Trump earned a bachelor's degree in history. During his time here, he visited Deadwood and was startled to see a building placard denoting the existence of legalized prostitution until 1980. As he pursued a master's degree at the University of Wyoming, he was not enamored by thesis topics suggested by his major professor. That's when he presented his idea of the 1980 brothel raids in Deadwood. If Trump's professor was smitten by the topic, so was the audience gathered for this final society meeting for 2009-10. They heard Trump segment the legal battles of the brothels into three time periods: local government efforts in 1952; state government initiatives in 1959; and federal raids that finally saw the demise of legalized prostitution in Deadwood. Within his presentation, Trump dropped the name of Woody Harrelson, well-known television and movie actor. Harrelson's father, Charles, had been charged in the 1979 killing of a federal judge in San Antonio, Texas. Although a link was apparently never fully documented, a Deadwood brothel was believed to be a site where investigators were seeking evidence related to that case. The elder Harrelson was later convicted of the crime and sent to prison. He died in a Colorado prison in 2007. Trump entertained questions from the audience -- and also had some interesting responses from a couple of attendees who had more than just a passing knowledge of Deadwood's brothels. In coming days, we'll be adding those stories -- along with more pictures -- to our Spearfish History Gallery.